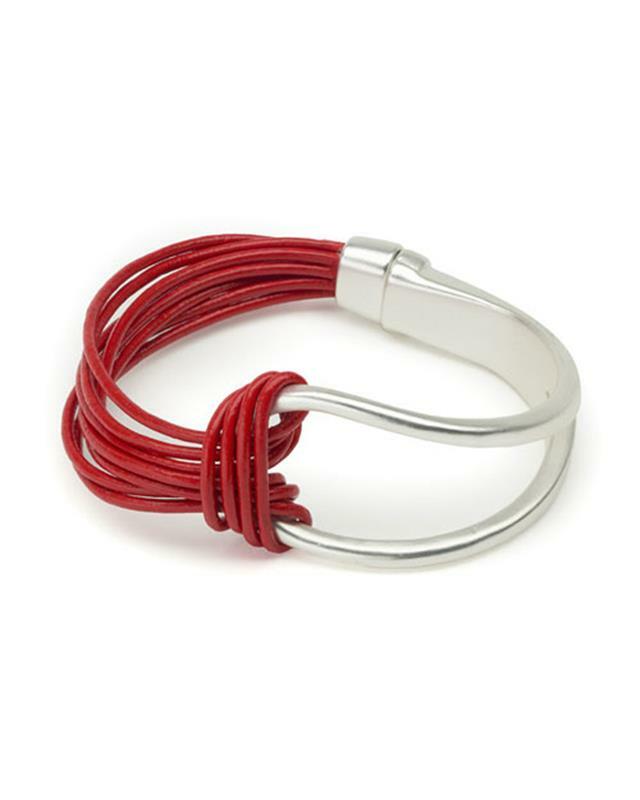 Origin Jewelry’s magnetic bracelets are made of leather and mixed metals. All components are made of zinc alloy (nickel and cadmium free). Available in black, grey, navy, red, pink, violet and turquoise. Origin Jewelry began in 1996 on a journey across the world in search of new, fresh jewelry designs to introduce to the American market. It is very important to Origin Jewelry that all of their collections are made by ethical designers with ethical practices where the employees are paid a fair living wage with benefits. Origin Jewelry prides themselves on having personal relationships with the people they work closely with to ensure the highest possible standards. All Origin Jewelry is hypoallergenic, and nickel and lead free.